Roofing services local to YOU! Our services include re-roofing, roof repairs, new construction roofing, and remodeling. As a property manager, building manager, or business owner, you depend on the roof of your business, apartment complex, church, or other building for a lot of things. Any home stands to benefit from an excellent roofing structure and system. Whether you are building a new house or replacing an old roof with a new one, you need the help of reliable roofers. One of the things the states of Georgia, South Carolina, and North Carolina have in common is the humid and capricious weather that takes its toll on roofing systems. Although most roofing systems are built to withstand long years of use and exposure to the elements, roof damage can occur at any time. Your roof is a very important part of your home. It helps to keep the elements out. It keeps the home warm in the winter and cool in the summer. Taking care of your roof is extremely important when you are a homeowner. It ensures that no leaks can get into the home and if you catch an issue early, it can even save you a lot of money. Lanier Roofing and Restoration is a regional roofing and restoration company that brings over 100 years of combined roofing experience to your project. We specialize in working with insurance companies to restore your roof to its original condition. When it comes to putting a roof over your head, you can trust Lanier Roofing to complete your job on time with quality materials. As licensed general contractors we can repair your roof and any other projects associated with your storm damage. We are licensed general contractors that will restore your home or building to a better condition than we found it. 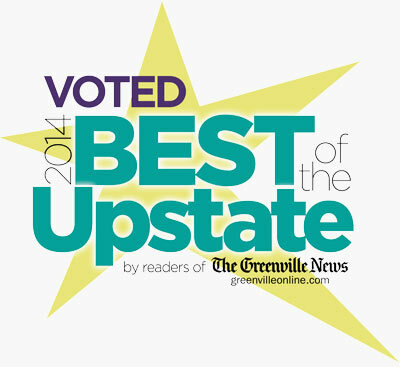 Lanier Roofing and Restoration has won numerous awards such as Angie’s List Super Service award ( roofing contractor ) for multiple years and 2014 best of the upstate by Greenville News in the roofing category.